According to the CDC, there are over 65 million Americans currently living with an STD and an estimated 200-400 million worldwide, 19 million new STD infections each year, one in three sexually active men and women living with Herpes, and about 50% of all sexually active Americans affected by HPV. Are you one of the Positive Singles? Finding your Herpes Dating match when you have Herpes can be easier than you think. 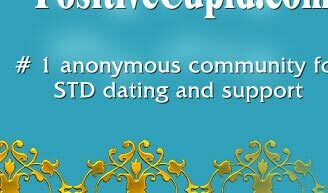 PositiveCupid.com is a community for people with STDs, where they can find friendship, support, and love! Beyond the networking of relationships, PositiveCupid.com has medical information, Chat Dating, and success stories. Positive Singles affected by a disease and those around them are staying positive and strong. The family and friends of an individual with an STD can be very supportive as well. Join us and contact hundreds of thousands of Positive Singles members now! It is anonymous!